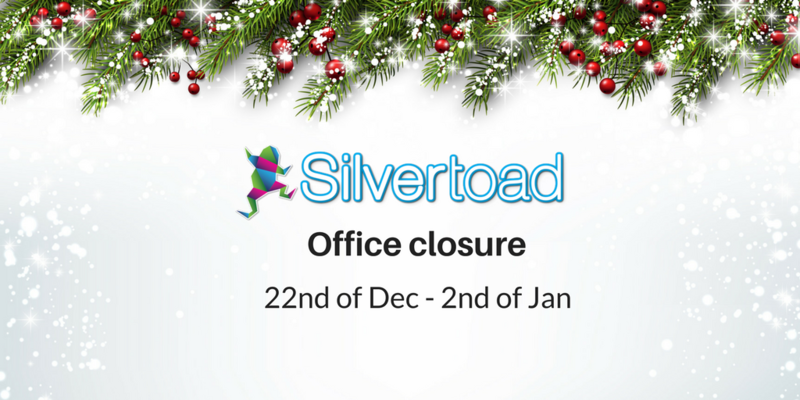 The Silvertoad offices will be closing at 5.30pm on the 22nd of December for the xmas break and re-opening at 9.00am on the 2nd of January 2018. We would like to take this opportunity to wish you all a very Merry Christmas and a Happy New Year and to thank you all for your support throughout 2017! During the Christmas close down period, you can contact us via [email protected] for any technical queries and [email protected] for anything else.